1888: A Jack the Ripper Novel, is available to buy now from Amazon! For today's post, I wanted to take a step back from writing about the details of 1888, and instead take a moment to recall just how I came to write it, and the weird hold Jack the Ripper has held over me and my sense of curiosity for over twenty years. The first time I ever recall being aware of the name "Jack the Ripper," I must have been no older than eight years old. My primary school in Cornwall (ages 5-11) had a library wherein all of the books were separated into shelves that best reflected the abilities of each of the age groups of the school. Being a voracious, and precocious reader, I proudly shunned my recommended reading material and (somewhat obnoxiously,) refused to read anything other than those books aimed at the older kids. Among copies of "Stig of the Dump," "Johnny and the Dead" and "The Hobbit," I discovered a book of unsolved mysteries. To this day, I can vividly remember turning the pages of this fully illustrated hardback book. I can see the drawings of a deserted Mary Celeste, with all the dinner plates laden with food; I can see the trail of cloven footprints on the rooftops of a Devon village and most lucidly of all, I can see that image of Jack the Ripper. It made me dizzy with panic. I had never seen anything quite so frightening. A skeletal figure with a shroud draped around it, brandishing a knife with an expression of pure evil. I read the entire double page entry with trembling hands, hardly able to comprehend that such a thing could have been real. Why had I never been informed? Why hadn't our parents warned us about this madman? When my mum came to kiss me goodnight, she must have sensed something was awry. I have never quite been able to comprehend or understand the ability parents have in sensing anxiety in their children, but whatever evolutionary pressure led to it, it is a powerful sort of magic. Two things struck me once she had calmed me down and settled my fears. Firstly, I really wasn't grownup enough to be reading books from the big kids' section of the library; and secondly, human beings lived alarming shorter lives than I had imagined. Children can be fickle thinkers and I can actually recall using the bravery which only comes from the harsh light of the day, to return to that book the following morning. I really may not have been as smart as I liked to think I was. Years passed and it was my teenage years that I returned to Jack the Ripper by borrowing a book from Truro City Library. This was clearly much more developed in tone and far gorier than I had anticipated. This time I was haunted not just by the image of Mary Jane Kelly torn asunder on her bed, but the tone of the mystery. The tiny, dark and cobbled streets, the gaslights, the aching mystery of the tale that would never be solved. 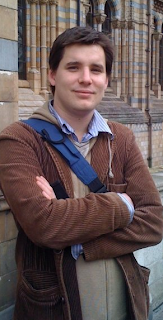 I first wrote a Jack the Ripper tale aged 19 as part of my creative writing course at university. I was instantly overwhelmed by the level of research I would have to put into this project, but thank goodness I did. When I returned to write 1888 a decade later, most of the heavy lifting had been done and the knowledge was locked away in my head. 1888, was not my first novel. Another tale of Victorian intrigue from that book of unsolved mysteries made it there first (I owe that book a lot in thanks for inspiration!) but a Jack the Ripper book was as inevitable as it was a joy to write. 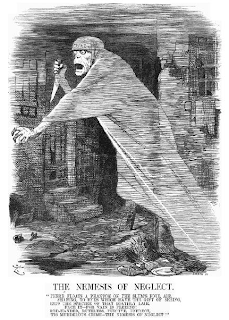 So ever since I first saw, and was repulsed by that image, Jack the Ripper has held a shadow in the farthest corner of my mind, and while writing my book may have helped clear a little of that darkness away, I don't believe he will ever truly leave me alone. I'm a British writer specialising in Victorian mystery novels. I'm hoping to use this space to share information on my work and details of upcoming books.